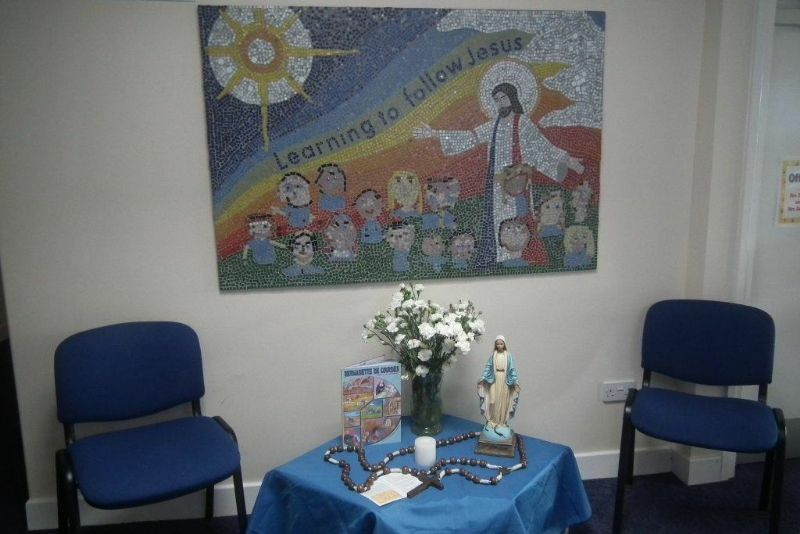 The Chaplaincy Team take the role of supporting the planning of Liturgies and Masses throughout the year, fundraising events and looking into ways that the spirituality of the school can progress and develop. Congratulations to the new members of the Chaplaincy Team for 2017-2018: Marika, Sylvia, Marisa, Marco and Maya. We look forward to them taking up their role and the exciting work that they are going to be doing throughout the school. Watch this space! The Chaplaincy Team have had a busy time during this first term! We have already supported Mrs Amess in the Rosary Club for Key Stage 2 and worked alongside the school council in leading in our Harvest Service.